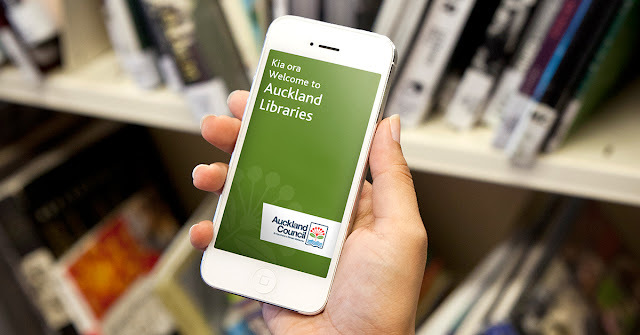 With 25,000 downloads in the first six months, Auckland Libraries' customers are relishing the new app. Auckland Libraries Digital Services Manager - Customer Interaction, Barbara Garriock, is pleased with the uptake, developed in response to strong customer demand. "We are delighted the app has been so popular. We knew there was a growing expectation from customers that they should be able to access our services from a platform on their handheld devices - and according to our app provider, 69 per cent of library customers use mobile apps to access information. So we clearly needed to be in this space. We also have a commitment to make access to services and content as easy as possible for all customers. Providing an app is part of that commitment," she said. Ms Garriock also stated the app aligned with one of the strategic focus areas for Auckland Libraries. "Our Future Directions document, Te Kauroa, identifies the digital library as a key focus area, with the idea to fulfill the commitment to 'Your Library available, anywhere anytime'. The mobile app helps us to deliver our content and services to achieve this," she said. Also in keeping with this commitment to ease of access to information, the app is available for Apple, Android, Windows and Kindle Fire devices, and boasts a range of practical features. "The app is really versatile: it gives our patrons the ability to search the catalogue and place holds, manage their library account with My Info and access eBooks and eAudiobooks via our partners. In addition, customers can search article databases, find the library closest to their current location and connect with Auckland Libraries' social media. We've also recently added in an eMagazine feature too," Ms Garriock said. The library app, like all apps, will continually evolve and change to meet customer’s needs, she added.